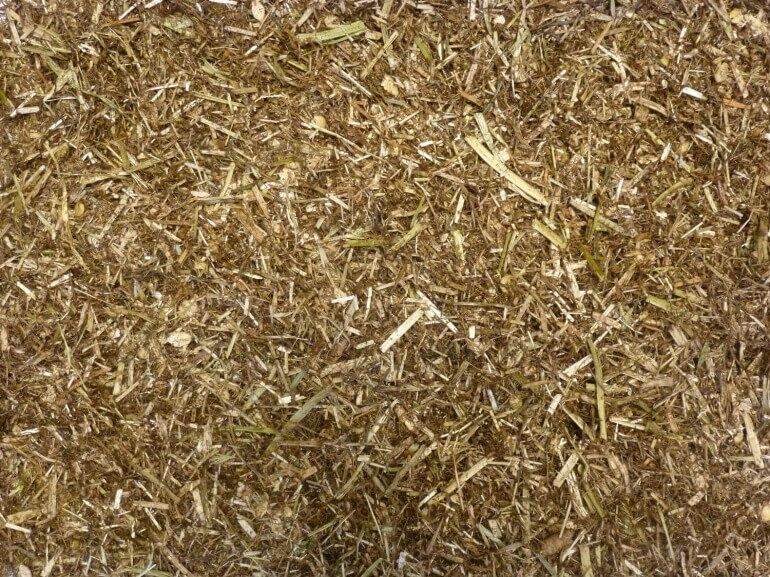 Mollichaff Condition Complete is a highly digestible, high fibre, high oil and low starch blend which can be fed as a complete concentrate feed alongside good quality forage. Contains a balanced blend of alfalfa, dried grass, oat straw, fibre pellets, barley & soya flakes, soya oil, and mint, as well as Yea-sacc® and a prebiotic, plus vitamins, minerals and trace elements. Soya oil is included to provide essential fatty acids to help improve skin condition and encourage a healthy, glossy coat. Mollichaff Condition Complete includes Yea-sacc® and a prebiotic to help maintain a healthy digestive system. Mint is also included as a digestive aid and because its taste and aroma are particularly appealing to horses. 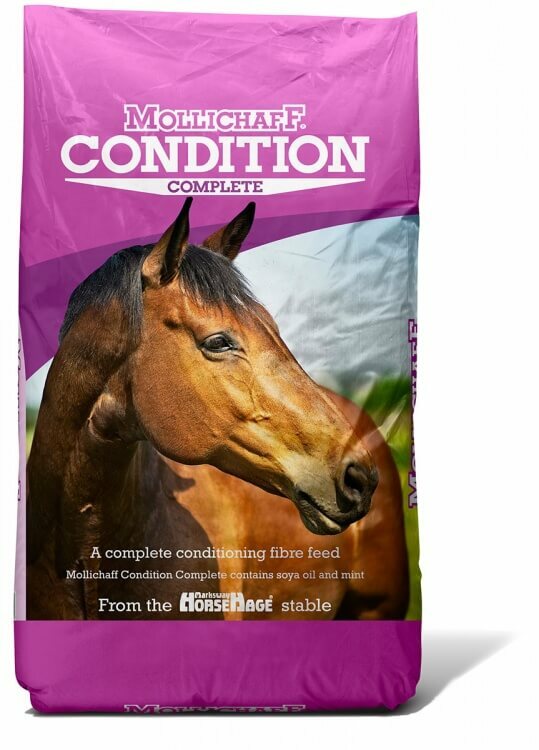 Mollichaff Condition Complete is suitable for encouraging weight gain in underweight horses and ponies and can also help maintain weight and condition in competition horses and ponies. Mollichaff Condition Complete is available in 15kg bags. The average weight of a level Stubbs scoop (volume 2.5 litres, bowl diameter 23cm, depth 10cm) of Mollichaff Condition Complete is 0.5kg. Always weigh feedstuffs, particularly when feeding overweight, excitable horses and ponies.